She developed her stunning modern fresco medium almost by accident as she was learning to apply the outer layer of plaster to her home in Santa Fe, New Mexico. Since that time this volume illustrates her growth as an artist and her mastery of the technique. Ali Cavanaugh is an internationally represented fine artist. She studied painting at Kendall College of Art and Design and the New York Studio Residency Program in New York City, earning a BFA from Kendall College of Art and Design in 1995. At the age of 22, she co-founded an atelier -The New School Academy of Fine Art- in Grand Rapids, Michigan. She relocated to Santa Fe, New Mexico in 2001. It was during her six years in Santa Fe that she developed her modern fresco process on kaolin clay. 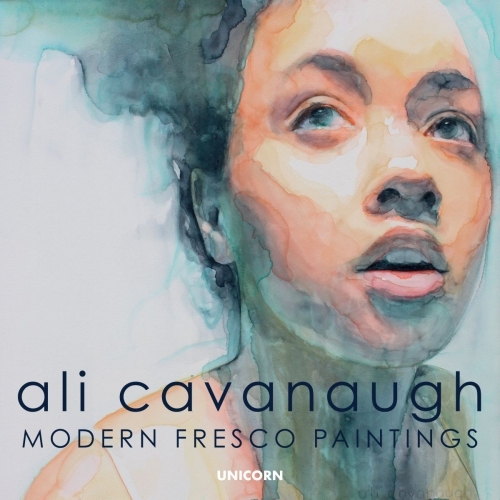 Her paintings have been the Subject of numerous national and international solo and group exhibitions.Cavanaugh's paintings have been featured on book covers, countless internet features such as the Huffington Post, Fine Art Connoisseur , Artsy and in numerous print publications including The New York Times Magazine , American Art Collector , American Artist Watercolor. She has painted portraits for TIME magazine and The New York Times. Her work is featured in more than 500 private and corporate collections throughout the North America, Europe, Asia, and Australia. She currently lives in St Louis, Missouri with her husband and their four children.